This collection brings a blend of contemporary design and welcoming natural style to your home. 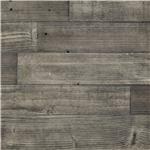 Its mixed material construction of metal, pine solids, and pine veneers help to create the modern yet rustic look of this collection. This unique style can blend in any setting, from a rustic cabin to a sleek city apartment. Browse other items in the Cazentine collection from Prime Brothers Furniture in the Bay City, Saginaw, Midland, Michigan area.